Go check out a pretty thorough interview with yours truly about Tumor and comics in general. Issue 3, on Kindle, still on it’s way. It seems Amazon has added a five day waiting period on uploads for copyright verification, and I reckon we’re caught up in that. Hopefully, the chapter should be up tomorrow or Thursday at the latest. 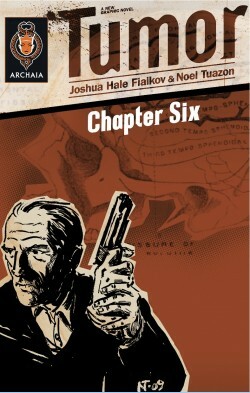 Meanwhile, enjoy: Robot 6 and Fialkov.